SPRING 2019 ZOOMERANGS! The Fleet Feet Vacaville Staff is bringing back the youth running program! 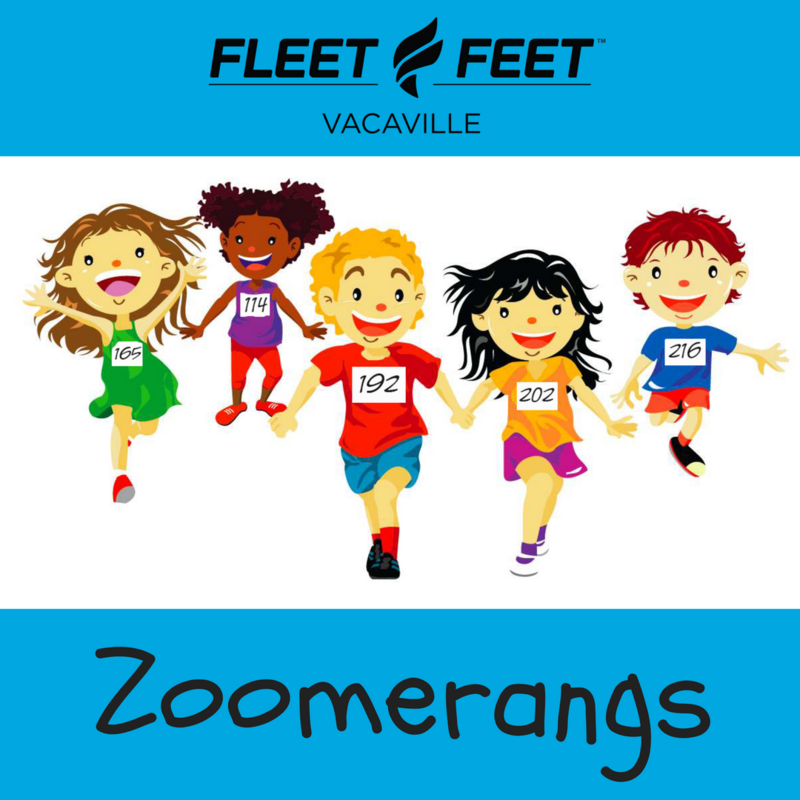 Zoomerangs is designed for kids 5 to 10 years old who have lots of energy to burn and love to run. Spring classes begin Monday, March 18th from 3:45 p.m. to 4:45 pm at Alamo Creek Park on the corner of Buck and Alamo. Join us and meet the coaches for an informational meeting on Monday, March 11th at 6pm at Fleet Feet Vacaville. The Zoomerangs program will prepare group members to race Loop the Lagoon Kid's 1 mile fun run on Saturday, April 27th at Lagoon Valley (Race entry fee not included in the program costs). Each participate will receive a group tech shirt, weekly prizes and a light snack and small drink after each class. This six-week program costs $72. You can sign up on Fitvil.com or in-store at any time and at the informational meeting. If you have any questions please contact Tasha at tasha@fleetfeetvacaville.com.